This site is focused on information, information sources and discoveries made over the years about the history of medical geography. The goal is to improve our understanding of this field, its philosophy and its traditions, and then use this information to develop new applications of GIS applicable to the fields of public health, epidemiology and medicine. My most recent additions to this site (during the past 6 months) include a number of new discoveries about Hudson Valley medical history. I view the Hudson Valley as the heart of the new medical philosophy and thinking that surfaced between the 1700s and the initiation of the Civil War. Most people envision Philadelphia and Boston as the most important cities related to American medical history and any American related discoveries prior to 1810. 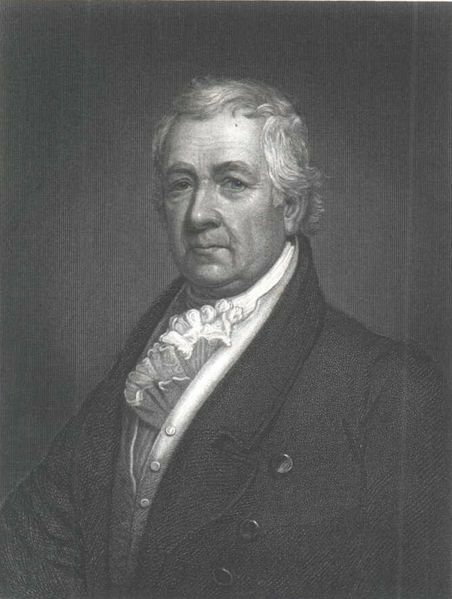 Whereas Philadelphia has Benjamin Rush’s accomplishments to brag about, and Boston Dr. John Warren of Harvard to boast, New York had its senator and physician Dr. Samuel Mitchell to pat on the back. Dr. Samuel Mitchell was the “Renaissance Man” of his time due to his training in medicine, the law, politics, philosophy, and all of the natural sciences as a student of the University of Edinburgh. His accomplishments, theories and writings resulted in the transformation of medicine into a study of natural science, beginning with his first year as a professor in 1792 at Columbia College in New York. His numerous intellectual moves and scientific speculations typically earned him a lot of support from the locals, thereby drawing much of the professional and political attention away from other ivy league schools and competitors such as Yale, Harvard, the medical school in Philadelphia. Mitchell made New York the focus of his work, serving as editor for the journal of its time–Medical Repository. 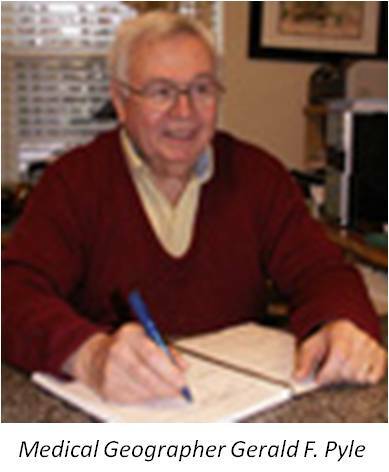 For decades to come, he was considered an expert in numerous fields, including evolutionism, paleontology, geology, chemistry, psychology, meteorology, medical geography, medical topography, astronomy, engineering, and natural philosophy. Whereas Benjamin Rush and others focused mostly on just people and health, Mitchell and his strong New York following focused on the environment and it relationship to people and health. Due to Mitchell’s work, regional interpretations of disease and health came to be were popular. He and his closest supporters began strongly promoting a new science which he called medical geography. This geographical focus on disease and people was lost once the bacterial theory was born and microbiology, physiology, chemistry, and epidemiology became the focus of much of medicine during the later parts of the 19th century. Until the late 1880s however, geography was as much a part of medicine as the studies of anatomy, physiology or pathology. All of this changed when the world globe and its various maps were replaced by the microscope and the focus in the bacterium–the microcosm instead of the macrocosm. This paradigm shift did what it could for the best of medicine. But in the end, we alaways need to go back to the origins of many of the philosophies out there about health and disease. For this reason, some portions of this site are devoted to medical geography as a physical science and population health study, others focus on sociocultural aspects of medicine and disease in the Hudson valley, using these findings to help explain how and why new healing faiths are born. Regarding the important role the Hudson Valley played in United States medical history, until now I have reviewed mostly those physicians noted in the past previously reviewed by other important medical historians and biographers such as Helen Wilkinson Reynolds and Guy Carleton Bailey. My more recent additions focus on individuals not really discovered by previous medical historians, or at least well reviewed by them. These individual made very important contributions to rapidly growing field of medicine from 1785 on. Their impacts on the profession became both regional and national, as this nation itself expanded and its new settlers carried with them this unique knowledge born in the Valley. As a result, a lot of my biographical reviews from this point on are about individuals whom to date have never fully researched or studied. The first such individual to note is Prince Quack Mannessah. His parents were a converted Mahican father and Algonkin mother who resided near the old Moravian missions site just south of Pine Plains, NY. His grandparents were part of the first Native American clan to ever be completely converted to Christianity, a result of the missionary settlement established around 1740, a decade before they were forced to remove to the Midwest (soon after which, all were killed). By living according to Christian Indian beliefs, Mannessah resided on land just north of Pine Plains, along with a number of African American servants working for a local farmer who owned a large piece of land. Mannessah took on his family’s heritage and became one of the first “Indian doctors” in this country beginning around 1780 or 1790. Along with others of his heritage residing elsewhere in the United States, his Indian medical philosophy and practice increased in popularity over the years and by 1800 led to the initiation of a major national movement what was called “Indian root doctoring”, a movement which which he continued for the next 60 years and a movement revived and still popular following the Civil War. Whereas many of the Indian doctors written about practiced a Europeanized form of pop culture medicine referred to as Indian root doctoring, it is only the first practitioners like Mannessah who truly lived and practiced according to their traditions. This opportunity for me to capture his life story is a rarity in United States and New York medical history. It provides us with information that fills an important gap that exists in American medical history and the influences of Native American culture and philosophy on United States medicine. 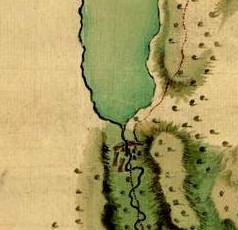 A map of Salubria or Watkins Glen from about 1778. The building structures are Iroquois Long Houses. Next there is valetudinarian John Watkins, Esq. He was not a physician at all, but rather a lawyer (“Esquire” who married into the Livingston family–another family of “Esquires”) and as a result came to promote the value of land and the ability to adapt to your living environment as the way to assure good health and longevity. Like his in-law relative Chancellor Robert Livingston, John Watkins was a speculator of sorts who developed a partnership with Royal Flint, and then obtained the rights to establish settlements or “colonies” on a large tract of land in western New York. His company of investors, all from Kingston, NY, promoted this region as part of the great westward expansion for the US during the late 1790s. 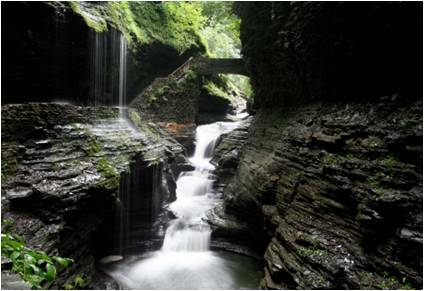 The most impressive piece of this land and its history is Watkin’s Glen. John Watkins used his knowledge and his family name to promote his own philosophy about a fever unique to his new born hamlet of Salubrai. He termed this disease Lake Fever. Lake Fever was possibly an early arrival of the yellow fever into the most inner parts of the North American continent. The ways in which Watkins interpreted life in the wilderness, the means to stay healthy by residing in such regions, and the way to live as a farmer and stewart in this part of the Western States, all helped him form his view of the most proper way to survive in this new environment. Therefore, his writing provides us with important insights in the new medical topography movement being established in American medical history. Other important pages to point out at this site are the various disease maps I have added as a part of my ongoing review of the history of disease mapping. I have now reviewed most of the most important disease maps ever produced in the history of the medical field called medical geography. This time I focused on the history of the first ever map published in this country on Yellow Fever and the many maps that followed decades later which focused on Asiatic cholera. My coverage of these maps used to identify the causes for disease begins with what is possibly the first such map ever published, that of New York/New Jersey physician Valentine Seaman’s map on Yellow Fever. Doctor Seaman mapped the progress of this disease at the wharfs in lower Manhattan. This map is presented and then analyzed to provide us with insight into the logic of his interpretation of disease. Unlike other articles about this map, it ends up Dr. Seaman’s logic was not at all in error. Neither Seaman nor others like the famous Benjamin Rush were at all correct with their deductions about the cause for yellow fever. The notion that it was either locally induced or brought from afar as a form of contagion were both very much popular. The correct cause for yellow fever and lake fever wouldn’t be understood for almost a century. Meanwhile, one of the most common arguments in writing appearing in the popular and medical press focused on this important public health issue. Philadelphia epidemiologist Benjamin Rush’s explanation for this disease was that it was due to putrid coffee beans being imported into this county. Seaman claimed the same but felt it had much to do with the smell of the decaying debris covering the mudy ground exposed around the docks during low tides. Only a ship surgeon would come close to discovering the true cause for this disease (also covered in this blog site), a claim which unfortunately no one else in the medical field ever paid much attention to. I also reviewed the extensive work on malignant or Asiatic cholera performed by John C. Peters. Once a strong homeopathy advocate and editor for this country’s primary journal for this field, American Journal of Homoeopathy, Peters began his career as a physician as an MD also practicing homeopathy around 1837/1845. After 15 years of practice, Peters suddenly changed his mind about the homeopathic profession,and in 1859/1860 he became a strong promoter of sanitarian or hygienic medicine. He was also a strong advocate of research in medical topography, medical climatology, and disease mapping. Later, along with several colleagues, a research team was formed by the US government that produced the most comprehensive and most successful series of maps ever made on the behavior of Asiatic cholera around the country as well as globally. Peters’ work was promoted and sponsored by his employer from 1860 onward, but the most influential reports were produced just before strong support for the bacterial theory for disease developed in the late 1880s. Their most famous writings with disease maps came about in 1883, the maps of which are presented here. Accompanying this section on Peter’s work is another series cholera maps detailing the various ways the medical cartographers tried to illustrate their interpretation of this global epidemic, presented on various pages. Amongst these maps are examples of the some of first temporal series of disease maps ever produced. Contemporary medical geographer Gerald F. Pyle’s review of the history of Cholera and what it tells us about modeling disease patterns and predicting future disease spatial behaviors. Also, a series of very important articles related to the study of the history of medical geography are provided. . . I begin this section with a page devoted to Benjamin Rush’s 1786 rendering of a philosophy that would soon be forgotten. 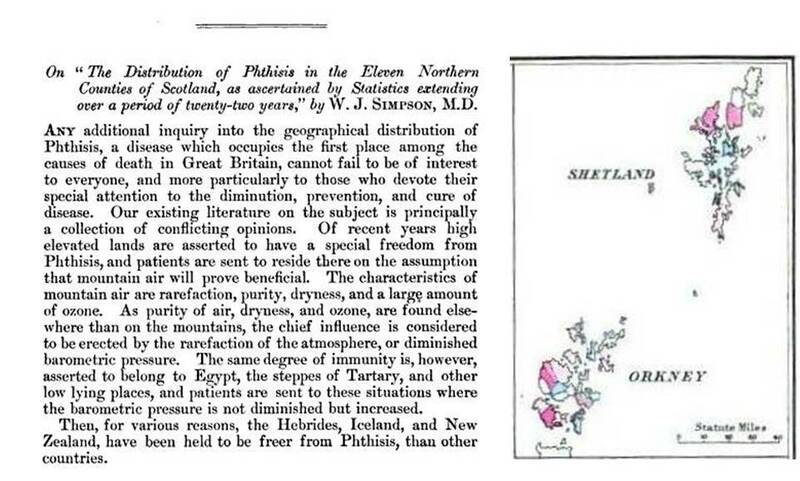 This philosophy re-emerged a century later by another series of Midwestern medical geography writers, beginning with Derwent Whittlesey. These late 19th century geographers refered to this concept as sequent occupancy theory. 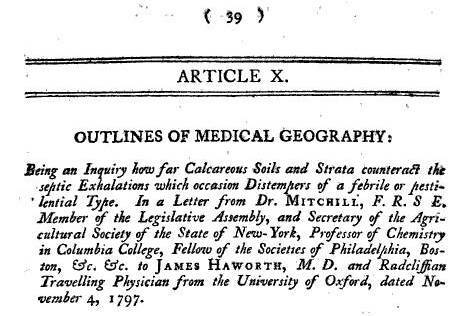 The second page entails an article that possibly has the first formal use of the term “medical geography” by an American author; it demonstrates how this philosophy came to be in the United States between 1795 and 1800. It was produced by congressman and physician extraordinaire, Dr. Samuel Mitchell, and dominated the medical profession for the next 50 years. Mitchell was the primary inventor, initiator and long time promoter of the many philosophies and future sciences linked to environmental medicine, health and disease. He created the septon (same root as sepsis)–referring to the smell and gas emitted from a rotting wound or biological mass. This invisible substance or particle he considered to be the cause for many otherwise inexplicable disease patterns–it was the “phlogiston” for this time in American medical history. The very first renderings of New York medical geography demonstrating the various aspects of this philosophy shared by the writers, regardless of place (the regions covered this time through are mostly western New York ). These reports were requested by Governor Dewitt Clinton, in accordance with the related public health laws recently passed by the state. An example of the development of the alternative medical philosophies developing around this time, focusing on Dr. Charles Caldwell’s strong pro-medical topography/miasma-theory. His arguments represent a mixture of regular and “irregular” medical beliefs. Contagionists were at odds with the anti-contagionists during this time. Caldwell’s beliefs and work would later lead to the development of a number of other controversial alternative practices, such hydropathy and phrenology as parts of regular and irregular medicine, as well as the demise of the Transylvania Medical School opened down in the Bible State of Kentucky. Finally, I have also initiated a section devoted to one of the stumbling blocks I encountered researching these projects–journals and books with articles that exclude or have poorly scanned maps or illustrations. This was due to actions taken by the documents imaging staff producing the electronic copies. To many librarians, the word is more important than the figure or illustration unfortunately. For medical cartography researchers like myself, this is very disappointing since the opposite is usually the case for our work. It is important to note here that these scans would not have been possible were it not for the support of Google Books and the engagement of five major university libraries in this country. So this is not a major criticism; it is better to have something to read and study than nothing at all. Due to Google Books, the equipment needed to scan these documents exists at several of the most important educational institutions in the U.S. However, the habit of producing unscanned, incompletely scanned, or poorly scanned maps because the inserts and fold-outs are of a different format perhaps needs to be re-evaluated, and a compromise needs to be made. 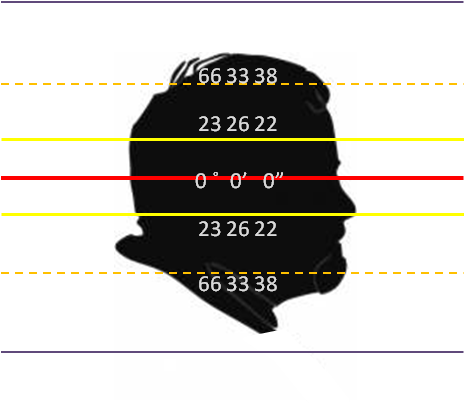 It is frustrating to look up a book with the answer to your questions on a specific page or picture found in the book, only to learn that including that in the scan would be too troublesome. It’s like finding Vesalius’s book on anatomy, Richard Smellie’s book on child delivery, or a 16th century guide to chirurgical instruments, only to learn that all you can do is read the text page accompanying the figures, and not be able to review those figures because they are fold-outs. We know these images can be scanned due to their inclusion in many of the original historical references I have reviewed at Archives.org. Finally, I have to note that my concern is that the chances for obtaining copies of these maps in the future might forever be lost. 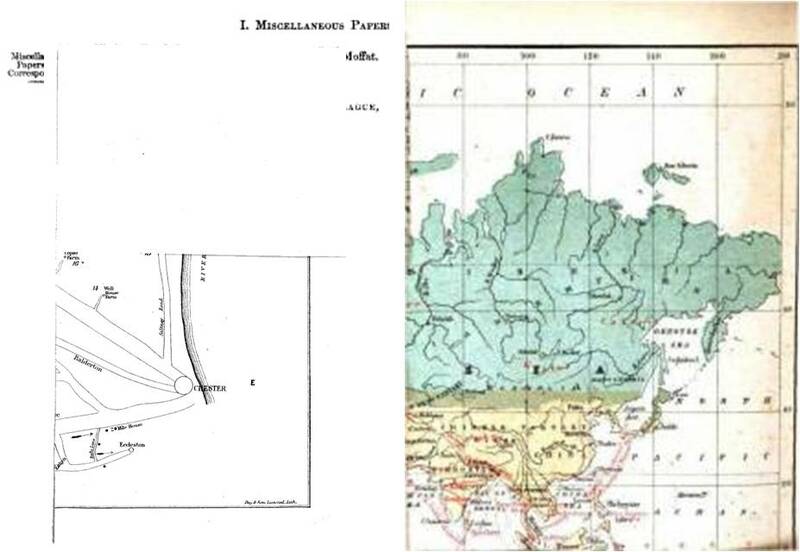 Since medical geography maps are scarce, especially before 1880, and in danger of being removed from references illegally (a too common practice during the last few decades) due to the money they can bring on a black market, these historically important maps need to be digitized and their original sources identified and placed under better security (even historical societies and university rare book rooms have a habit of losing these valuable documents). In terms of my other subjects, I have added significantly to my section on researching and charting population health, with numerous examples of how to perform more informative reviews of age-gender and disease, and a little on a new series of statistical formulas I developed for researching exceptionally large medical populations (>1 million, but for this review >100M). These methodologies are meant to be applied to a new form of research that can be performed regarding population health studies. Recently I produced another way, another series of formulas for illustrating disease (using the traditional SAS formulas for DEM-like modeling). It is incredibly simple, at times too simple to seem real and true. It will probably take me about 2 more months to perfect, after which, I’ll re-write it for ArcGIS applications. To date, little to no time has been spent developing methods to review exceptionally large populations by any of the industries, universities or corporations that I have been involved with. The standard has been to sample a population and run your basic statistical techniques. These methodologies I consider to be less informative than I believe the statistical profiling of a population should be. Thus during the past decade or two, whenever possible, my methods have focused on small area analysis, on-the-fly GIS work in the field (see my west nile case studies for more on this), and large-scale studies of demography using 1-year age groups. I make use mostly of my own formulas and methodologies, which were developed by way of some GIS-RS work I was once engaged in. These define statistically significant differences at the 1-year age level for population stats (much like using edge detection formulas for b/w SLAR imagery work, or testing for aspect in a topographic map). The displays of my findings speak for themselves. As an example of how this method is applied, imagine for a moment you have a population with a higher rates of something such as diabetes. The only problem is, all you know is the diabetes in high. You don’t know exactly which population it is higher in–the young, the old, the middle aged, the pre-retirement years workers, those from a specific ethnic group, so we look this up by reviewing distributions in more detail, and learn that it is women in their 30s that are making the population’s risk higher. But the best example I believe related to this one unique ICD I reviewed in the past. My 1-year age-specific method of mapping counts and prevalence for ICD9 729.2* (the African culture practice of modifying the body in a specific way) revealed something never really published before. I discovered there were 4 age groups with exceptionally high prevalence rates for the Traditional African and now African American practice of infibulation and the other related “cosmetic” culturally defined surgical practices under this ICD (see my sociocultural syndromes page). This practice is considered necessary only due to cultural morées. It is not necessity to living in the United States. Yet two groups undergo this practice every year in this country–children under 6 years of age and adults 16-32 years of age (with 32 yo peak). The other two age peaks for this ICD are 47 yo and 80 yo. This is a very stable age relationship that has continued in this country for more than 10 years. Thanks to WordPress, I can report that after just 18-20 months in the making, this site has surpassed the 50K mark for number of visitors, and is now averaging 175 hits per day, with the following distribution globally during the past 3o days. See: Social Science & Medicine, vol. 50, issues 7 & 8, 1 April 2000, pp. 915-921. Finke’s 1792 map of human diseases: the first World Disease Map? The large multiple legged area defined by the cartographer appears to demarcate safe routes of travel for troops, keeping them away from shorelines and large river edges–due to the miasma. . . high elevation areas–due to fatigue and apoplexy . . . and regions far into the continental interior, where diseases like scurvy, beri beri and goiter prevail. These paths travelled may also depict routes followed by specific diseases like measles, small pox, and many others caused by contagion. Hello. I was online researching whale bone artifacts and came across your picture of a whale bone pessary. I thought you might like to know that it is elephant ivory, not whale bone. The schreger lines which are definitive indicators of ivory are quite clear in the picture. Thank you for a very interesting site. Thank for your insights. The object is shown for shape and form mostly, which I failed to note beneath it. It is probably decades younger than the colonial object referred to, but the form appears fairly accurate. A much earlier reference had an illustration of the device that appears much like the elephant ivory piece. I wonder if vegetable ivory (from certain palm tree nutlike seeds) was used as a substitute as well during these early years.